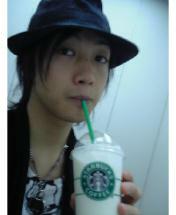 Frapuccino are so delicious, aren't they? I just discovered iced tea Laccino. I really like them. (Especially the iced green tea laccino) They are very refreshing. What's Nagayama-san's favorite favor, I wonder? It's so hot today that drinking enough water becomes really important for us to keep healthy.